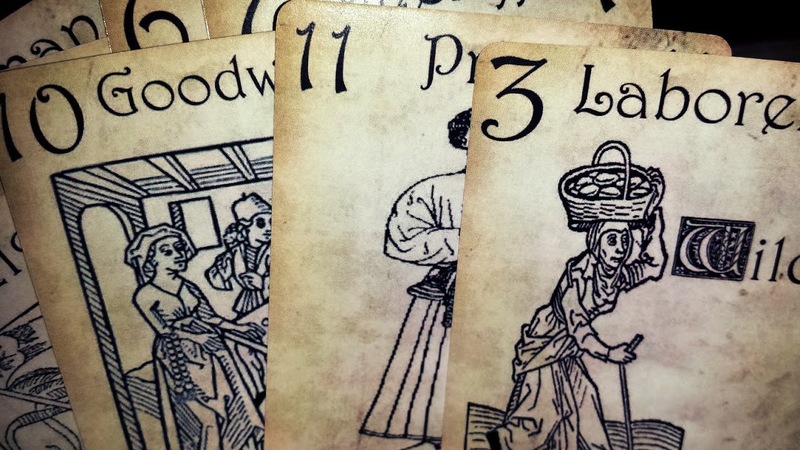 A fast, trick taking game of medieval village politics! Life in a medieval village can be very political. On one side you have the Mayor - respected, powerful, able to affect real change. On the other side you have the Village Idiot. Challenge other players to a battle of skill and luck. Add to the rules of the game as you seize power but beware! No one is above the law. Claw your way to the top and do your best to stay there in this fast, fun, trick taking game with a twist! Village Idiot plays in less than an hour for 3-10 people. You'll be jumping right out of your seat! Based on several classic party games, Village Idiot combines trick taking, rules making and six rounds of play with every round progressively changing as players build upon the basic rules. Easy to learn as all of the rules fit on two standard, poker sized cards. 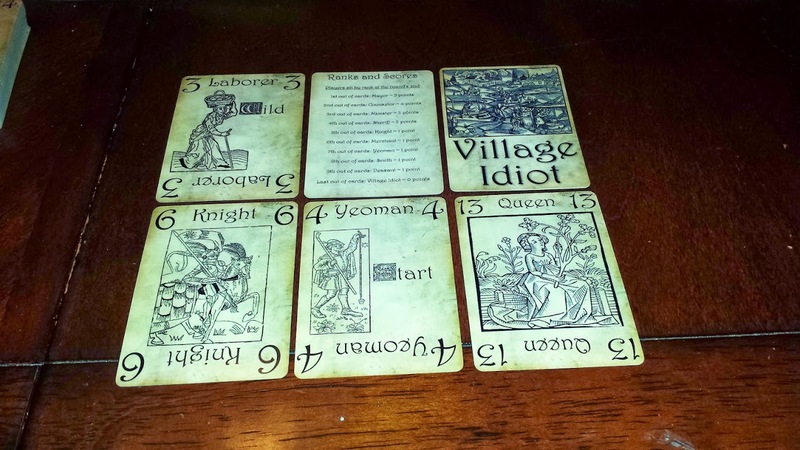 Village Idiot can be played with family or friends and be as fun or as cutthroat as you want it to be! If you purchase the cards, be sure to download the free Print-and-Play file as it includes the Supplemental Rules PDF - this has a few rules clarifications that just wouldn't fit on the cards. If you'd like to try this game out, download the free Print-and-Play PDF and go thee nuts!